The IADC Daily Drilling Report Form is the definitive form for collecting drilling data and recording payroll information. Information collected include mud data, formation data, bit records, pump pressures, and much more. 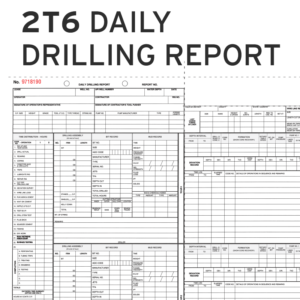 The Daily Drilling Report Forms are available in two configurations. The 2-Tour Forms for two 12-hour shifts have 6 copies. The 3-Tour Forms for three 8-hour shifts have 5 copies. The forms are sold in a carton of 5 pads. Each pad is a month’s supply (31 sets per pad) using the strongest and thinnest carbon-less paper available so the impression on the last copy is as good as the first! The IADC Daily Drilling Report Forms are also available in Spanish and Russian. 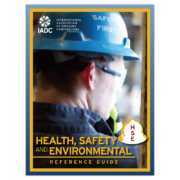 The IADC Daily Drilling Report forms are also available in electronic format, please contact bookstore@iadc.org for more information. Member Discount Pricing: Members must be logged in to receive member pricing. Regulators Discount: Government employees involved in regulation of oil & gas drilling and completion activities are entitled to a 25% discount on IADC books and electronic ebooks. Click here if this applies to you. 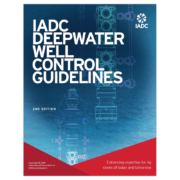 IADC Deepwater Well Control Guidelines 2nd Ed. 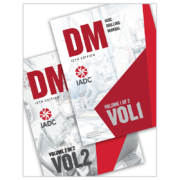 IADC Drilling Manual 12th ED. 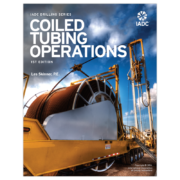 Stand-alone, information-packed chapters of the 12th edition of the definitive rig operations manual, the new IADC Drilling Manual, are available in convenient electronic form. 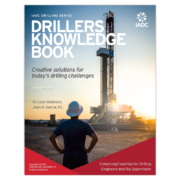 More than 100 renowned technical experts contributed to the first major rewrite of the IADC Drilling Manual in 22 years. Cancellation/Refund Policy: Cancellations are subject to a $25.00 processing fee. No refunds will be made for cancellations 30 days prior to the conference date. Privacy Statement for International Association of Drilling Contractors! The International Association of Drilling Contractors maintains member and nonmember information in a profile and allows members to have a profile and gain access to "members only" content on the site. WWW.IADC.ORG also uses order forms for all users to request information for INTERNATIONAL ASSOCIATION OF DRILLING CONTRACTORS products, conferences, services and benefits. We collect contact information and demographic information (e.g., mailing address, e-mail address, areas of interest). This information allows us to provide you with relevant information regarding the global drilling industry. Contact information from the forms is used to provide brochures and other information about IADC, its products and services, and issues relevant to the global drilling industry. Mailing information only is provided to approved INTERNATIONAL ASSOCIATION OF DRILLING CONTRACTORS business partners. Phone, fax, and e-mail information is used only by IADC. Contact information is also used to communicate with the user when necessary for site administration. Email Policy: IADC does not share your email with any third parties. This site contains links to other sites. IADC is not responsible for the privacy practices or the content of such Web sites. This site has security measures in place to protect the loss, misuse, and alteration of the information under our control. Computers and software that contain the information are kept in secure areas and are protected by passwords. Please note that no security system is 100% secure. We will not knowingly disclose confidential information supplied to you, except to the extent necessary and incidental to the purposes for which the information was supplied (for example to "Find a Member"), without the supplier's permission.